This video presents how to use the Deco-Touch Air Exchanger Wall Control. This video describes how to use the wall control Platinum for an air exchanger. 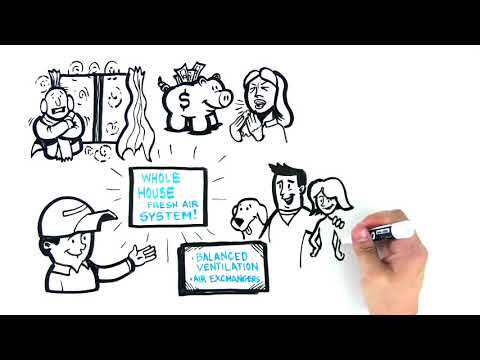 vänEE presents air exchanger technology from a homeowner perspective. It showcases all you need to know from why installing an air exchanger to the benefits for the occupants. This tool help everyone understand how air exchangers help having a healthy house to understanding the advantages occupants will benefit from. Do air exchangers create humidity? I have an indoor swimming pool, which unit do I need? Can the crawl space be vented with the same unit as the house? Are there some requirements regarding new constructions? Why can’t I reduce my indoor humidity level in the summer time? I already have a ventilation unit, why is there still condensation on my windows? What does HRV/ERV mean and which models do they include? Can I ventilate the bathroom with these units? Can an HRV/ERV be installed in the attic? Can I use controls other than vänEE’s with my unit? Is there heat recovery during summer? Does my unit need to be balanced? Where can I buy these units? The 40H+ is the ideal choice for condominiums, apartments and other limited space applications that require up to 77 CFM of continuous ventilation. With their compact size and 4-inch ports, they can be installed in small spaces such as a closet or mechanical room above a hot water tank. In addition to being Energy Star® qualified, 40H+ is specifically designed to fulfill all your residential ventilation needs and to meet the characteristics of an air exchanger in the efficient home programs. Compact machines that think big. NOTE: The new 40H+ replaces the Vigör HRV Plus. To learn more about wall controls compatible with this unit, please refer to the wall controls specification sheet.